President Trump has with a single bombshell tweet rattled an already tense and war-torn region by announcing "it is time" for the US to "fully recognize Israel's sovereignty" over the Golan Heights. "After 52 years it is time for the United States to fully recognize Israel's Sovereignty over the Golan Heights, which is of critical strategic and security importance to the State of Israel and Regional Stability," Trump tweeted midday Thursday, marking a dramatic reversal of US policy which has historically alongside global international allies seen it as occupied territory. The impact has been immediately felt in Israeli politics, where politically embattled Prime Minister Benjamin Netanyahu stands less than three weeks away from his toughest election yet — after a campaign marred by multiple formal charges of corruption and ongoing state investigations. Trump's tweet, and apparent willingness to move forward on the White House's long signaling that it would dramatically shift policy from prior administrations, hands Netanyahu a huge foreign policy victory and boosts his stature domestically, after he recently renewed a diplomatic push with Trump for the US to recognize the Golan Heights as part of Israel. Netanyahu was quick to thank Trump, tweeting: "At a time when Iran seeks to use Syria as a platform to destroy Israel, President Trump boldly recognizes Israeli sovereignty over the Golan Heights. Thank you President Trump! @realDonaldTrump." Beyond Trump's shock Thursday tweet, it's unclear if the White House will release additional specifics or a timeline on any formal recognition. Israel fully annexed the Golan Heights in 1981 after capturing it from Syria during the Six-Day War of 1967. The United Nations has never recognized Israeli annexation and settlement there, but has repeatedly condemned it. Perhaps most dangerous of all is the signal that it sends to Israeli hard-liners that want to annex some or all of the West Bank. It tells them that illegal occupation will eventually be rewarded with full U.S. recognition, and it also tells them that the U.S. isn’t going to pay any attention to international law when it comes to making decisions regarding Israeli control over occupied territories. 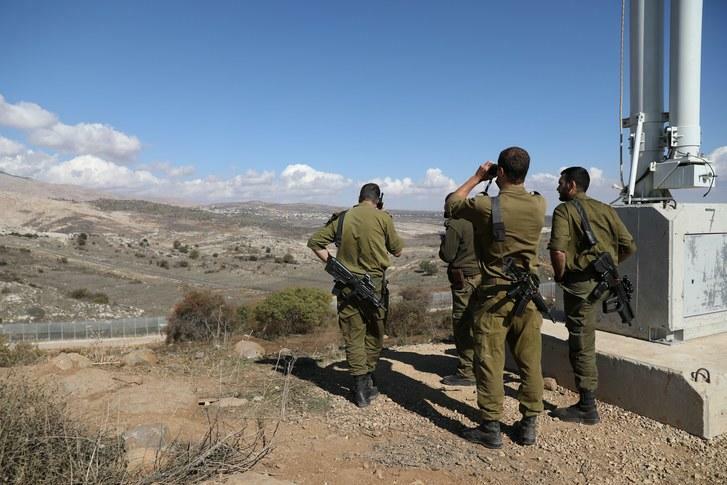 And more broadly, it is sure to inflame tensions between Israel, Syria, Iran and Lebanese Hezbollah after weeks of relative calm following last year's dangerous uptick in (dozens of) Israeli airstrikes on Syria and sporadic fire across the contested Golan region. A mere weeks ago Syria also notified Israel through United Nations diplomatic channels that it is prepared to go to war if Israel does not leave the Golan Heights. Syrian Deputy Foreign Minister Faisal Mikdad reportedly sent the threatening war message through the head of the United Nations Truce Supervision Organization (UNTSO), Christine Lund, earlier this month, according to a World Israel News report and later picked up other major Israeli sources, including The Jerusalem Post. “Syria will attack Israel if it does not leave the Golan Heights,” Mikdad told the UN representative. Damascus' firm warning came in response to a controversial bill recently under renewed consideration by US Congress, co-sponsored by Republican Senators Ted Cruz and Tom Cotton, and Democratic Rep. Mike Gallagher, which aims to give formal US recognition of Israel’s sovereignty over the Golan Heights region. No doubt, Trump's tweet will give this Congressional effort huge bipartisan momentum, even if national security experts and pundits attempt to throw caution against interrupting the tenuous status quo.